The average UK family with kids could save £810 per year by reducing food waste. That’s not a figure to be sniffed at and it accounts for a third to a half of all the food we buy. Follow our simple steps to get #FoodSavvy and reduce your food waste. Planning saves. It helps you to stretch food across a week and only buy what you need. A minute of plan-making will save hours of fussing over what to eat. Plan for 3-4 days. Which meals will your household want and be able to prepare and eat? Check your fridge and cupboards, what’s in stock? What needs eating up? Next, chose what you want to eat! We are lucky to live in a world full of recipes. Choose dishes that have some common ingredients. Eating seasonally will keep costs down. Use a simple meal planner and leave a day blank. More often than not, we make more than we need or our plans change. Have a simple ‘something on toast’ or pick an item from the freezer as a backup for that day. Map out which meals you will have when. If your eyes are bigger than the period of time you have to cook, then start a back-up list or Pinterest board so that you have them saved for a future week. Make a list of what you need for the meals, crossing off what you already have at home. Where possible, cook double and eat half later in the week... or freeze it. In a few short weeks, you will build up a fantastic time-saving bank of family friendly meals that work together. Use your list and don’t be seduced by offers that you may not be able to eat. Keep an eye on date labels and buy in small quantities when you can. A deal is only a deal if you can eat it. Always shop with a list. Lists can be made on the back of an envelope, a note pad on the fridge door or an app on your phone. Some apps allow you to share lists with others so that you can split the shopping. If you feel tempted by a bargain in store that’s not on your list, think about whether that item can be used, frozen or stored for a later date. It might be cheap, but can you really finish that sack of potatoes? Thought not! Buy loose fruit and veg for smaller portions. Some foods are available now in split packs (such as ham or part baked baguettes) this will make your food last longer and allow you to freeze half to use at a later date. Check food labels in store. Don’t buy food with a fast approaching use-by date unless you know you are going to eat it. Get Wonky. Many retailers now sell fruit and veg that have not met cosmetic standards at a discount. Bendy courgettes are more fun… You heard it here first! Online shopping is great if you have meal plans that you keep going back to. Save a list for each plan. Don't ignore where to store! 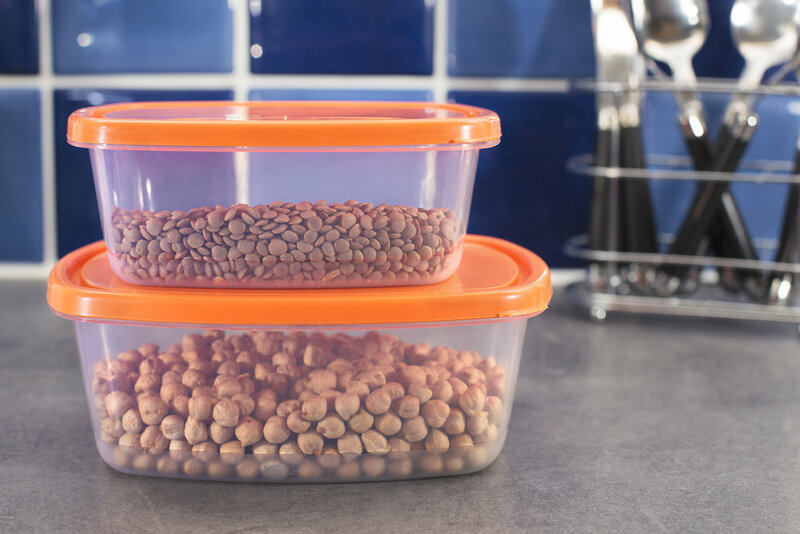 Storing food in the right place can make it last longer and taste better. Check out our simple guide to storage and making the most of your feeezer. Should be kept in the drawer at the bottom of the fridge (in their original packaging or a loosely tied bag) – the exceptions are onions, potatoes, bananas, mushrooms and whole pineapple, which should be kept in a cool and dark place, but not the fridge. Keep potatoes and onions separate as onions can give off a gas (ethylene gas) that makes potatoes start to go off. Bananas should generally keep their distance from other fruit and veg. Sorry bananas! Wrap salad in a loosely tied plastic bag and keep it in the bottom drawer of your fridge. Is best kept in a cupboard or bread bin, but not in the fridge. Slice and freeze your bread for a constant supply of fresh toast. Store raw meat and poultry in clean, sealed containers on the bottom shelf of the fridge (above the bottom draw where the veg lives). Keep cheese in re-sealable packs, cling film, greaseproof paper, reusable wrap or a tub to prevent it drying out. Oh and hard cheese can be frozen- grated or whole! Should be kept at a constant temperature below 20°C. Exquisitely easy. Fizzy drinks keep their sparkle for longer if stored upright in the fridge. Store your dry goods in glass jars or in plastic containers. This keeps them fresher for longer and makes it easier to see how much you have. Store loose leaves in a bag, in the salad drawer of the fridge. The exception is basil - keep it out of the fridge or it will turn black. Herb pots of chives, coriander, dill, mint, oregano, parsley and rosemary should be kept away from extremes of temperatures on the windowsill. Get your portions right and both your purse and waistline will see the benefit. Leftover ingredients or meals can always find a happy home in another dish. We’ve got more recipe suggestions than you’ve had hot dinners. This everyday portion planner from Love Food Hate Waste will provide you with guidance on how much food you need for each person, for each meal. It’s simple to use as they've calculated the typical serving sizes for you! We would always recommend making double and freezing half to make your food and money go further. Increased freezer use can save you up to £270 per year on your food bills. Who would have thawed? Freezing the food you haven’t had time to eat – any time before the date on the label – acts like a pause button, buying you more time to eat the food you've bought. 46% of East Anglians don’t know about freezing cheese & 41% have never frozen milk. We’ve said it before and we’ll say it again. Get friendly with your freezer now. 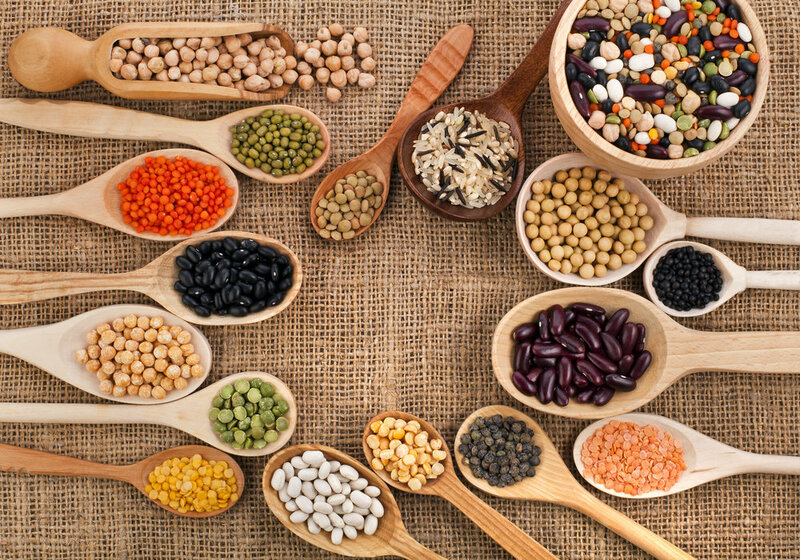 Check out these frequently misunderstood freezer friendly foods. Do you have a jam-packed freezer, that you don’t use? It might be time to eat up what you’ve got and make space that will save you time and money during busy weeks. When freezing food, add a label. 60% of people forget what they’ve frozen. What a waste of space, time and money. Chilling. Don’t get in a pickle about a glut of fruit or odd vegetables in the back of your fridge. Jams, pickles, ferments and chutneys are a truly delicious way to save them for a rainy day. When storing leftovers in the fridge, cool them as quickly as possible (ideally within minutes). Splitting them into smaller portions can help them to cool more quickly. Cover them and refrigerate. Use leftovers within two days and reheat until steaming hot. Rice should be eaten within one day. If you are going to freeze leftovers, cool them before putting them in your freezer. Once foods are in the freezer, they can be safely stored there forever. Make sure you defrost leftovers properly before reheating. Defrost them in the fridge overnight, or in the microwave if you intend to cook them straightaway. Check out our recipe portal for some simple dishes that you can whip up with common leftovers. Can't finish the food in your fridge? We bet that there's someone out there who can help you. Going away, but still have food in your fridge? You’re not flying solo. Each year in the UK £½ billion worth of perfectly edible food gets thrown away when people head off on holiday. 81% of us would be happy to receive food from a neighbour. If you can’t freeze your food, give it away. Why not try a neighbour, food sharing app Olio, or a Community Fridge... there are a growing number springing up across Norfolk and Suffolk. Food waste recycling in Norfolk and Suffolk. Eating the food that you buy is the best way to make the most of your hard-earned cash. But, some food waste is unavoidable. If faced with waste you can compost, give it to your wormery or check links below to see what other food waste services your local Council provides. Find out what support is available to you. Check out your local kerbside collection.